Mobile applications are of great importance to smartphone users and new proposals come up every day, some cool, some very useful … and others that are not strictly for nothing. 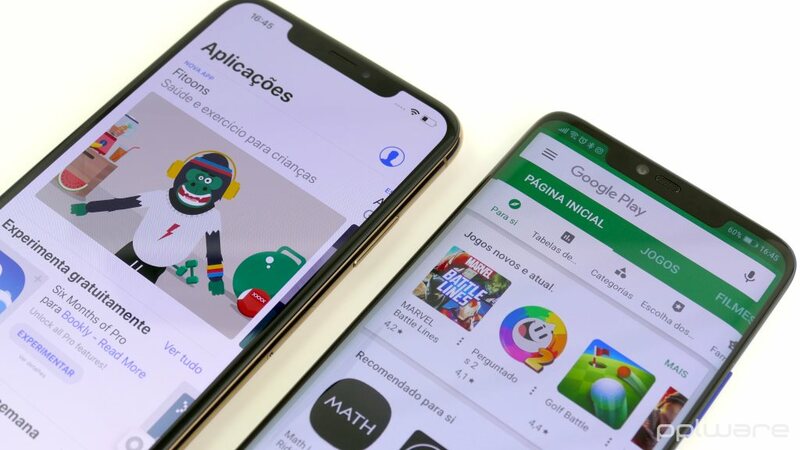 Today's proposal is to let you know 5 apps available on the Google Play Store for Android, and the Apple App Store for iOS, which you should try. Spark introduces itself as “the best personal and revolutionary e-mail client for teams”. For iOS users, there is virtually no need for presentations, but now available of all those who use Android. For those who are now studying for the code, to get the driving license, there is a fairly complete app that can be the perfect ally to pass the exam. This app has numerous tests with official IMT issues. It's now available for free for Android and iOS. For those who want to save a few euros when shopping, this app can help. Here you will have access to several discount coupons, you can consult promotional leaflets and also receive refunds when buying certain products. Your shopping list can also be made within this app and shared with whoever you want. Nickelodeon's most iconic characters have teamed up for an epic battle in an action game. Spongebob, Invader Zim, Kid Danger, Danny Phantom, among many others are ready for battle. Finally, we leave as a suggestion another game. A face-to-face where words will make the player a winner, further promoting the expansion of vocabulary in English.